Holy Mother, Queen of Martyrs, intercede for all those suffering in the name of your Son. To answer this question, it must be recollected that the pains of the soul may be as fierce as those of the body. Bad men who are now in hell, and the elect of God who are in purgatory, are suffering only in their souls, for their bodies are still in the dust; yet how severe is that suffering! And perhaps most people who have lived long can bear witness in their own persons to a sharpness of distress which was like a sword cutting them, to a weight and force of sorrow which seemed to throw them down, though bodily pain there was none. 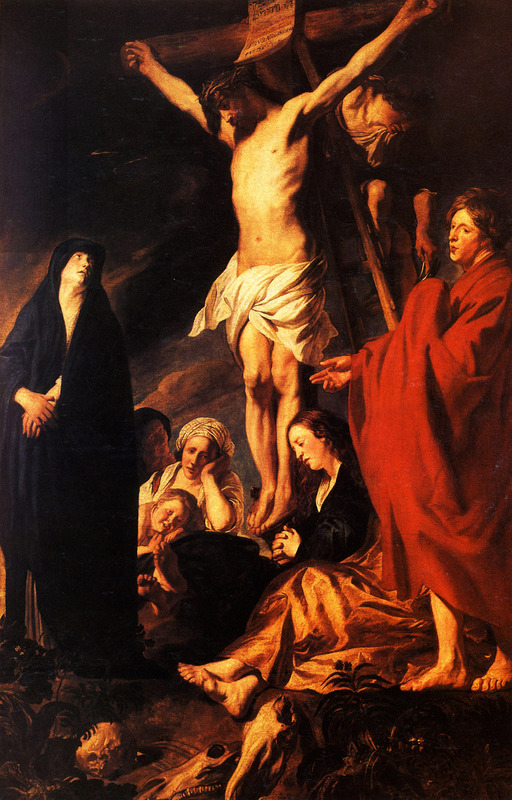 What an overwhelming horror it must have been for the Blessed Mary to witness the Passion and the Crucifixion of her Son! Her anguish was, as Holy Simeon had announced to her, at the time of that Son’s Presentation in the Temple, a sword piercing her soul. If our Lord Himself could not bear the prospect of what was before Him, and was covered in the thought of it with a bloody sweat, His soul thus acting upon His body, does not this show how great mental pain can be? and would it have been wonderful though Mary’s head and heart had given way as she stood under His Cross? Thus is she most truly the Queen of Martyrs. Please pray along with our parishes and to let Our Lady Queen Of Martyrs in Woonsocket,Rhode Island, still keep her name as she was intended when the church was built. Blessed Newman, intercede for us and this church with the venerable advocation that it has!